Iraqi government forces on the western outskirts of Tikri on March 11, 2015. ISIS’s last stand in Tikrit is going to be bloody. Iraqi forces and Shiite militias now claim to control about 75 percent of the city after nearly a month of fighting, and are reportedly waiting for reinforcements before a final push to retake Saddam Hussein’s hometown. In anticipation of the final assault, ISIS has reportedly deployed snipers, bombs, and booby traps in the areas it still controls. But it’s fairly inevitable at this point that ISIS’s fighters will eventually be defeated. 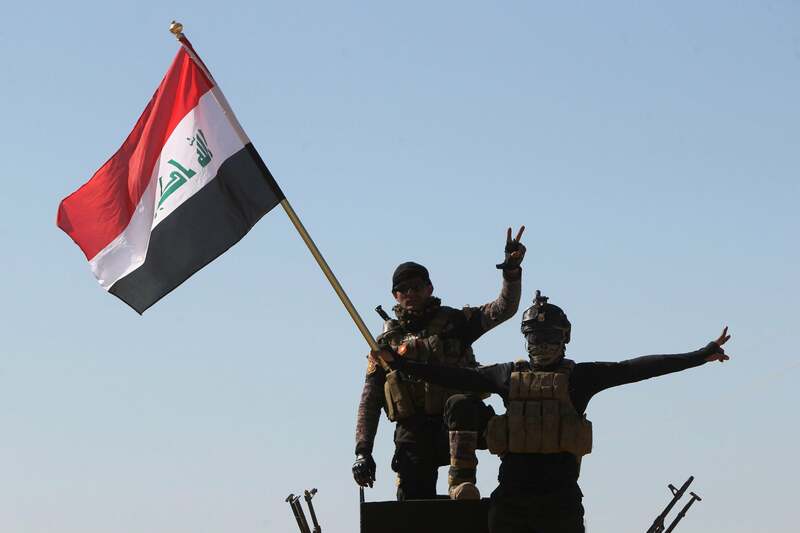 This will mark a major turning point in the conflict: Tikrit will be the first major Iraqi city retaken from ISIS as well as a rare victory against the group in a predominantly Sunni area. You would think this would be cause for celebration, but in Washington, enthusiasm over ISIS’s setback has been tempered by concerns over Iran’s role in the offensive. Particularly worrying are reports that Qassem Suleimani, the Iranian spymaster who has been called a terrorist by the U.S. for his alleged role in coordinating attacks against U.S. troops, is on the front lines coordinating Iraqi forces. In addition to concerns about Iran’s growing influence in Baghdad, there are fears that if the largely Sunni city is retaken by Iranian-backed Shiite militias, it will alienate anti-ISIS Sunnis. There are also worrying reports of abuses being perpetrated by the U.S.-supported Iraqi military, including photos posted on Instagram showing soldiers posing with the severed heads and corpses of ISIS fighters. Human rights groups had been raising concerns about attacks on Sunni civilians by pro-government militias even before the ISIS war began. Iraq’s sectarian divide and the widespread perception that Nouri al-Maliki’s government only served Shiite interests was, after all, a big part of the reason it was so easy for ISIS to conquer half the country last summer and the situation doesn’t appear to be improving all that much with Maliki gone. Tikrit may be a major shot-term victory in the fight against ISIS, but it could also hasten the disintegration of the Iraqi state.